And just like that two months have flown by. It feels like just yesterday we were at the last baby appointment and the doctor told us the next day I would be admitted. Time needs to slow down!! 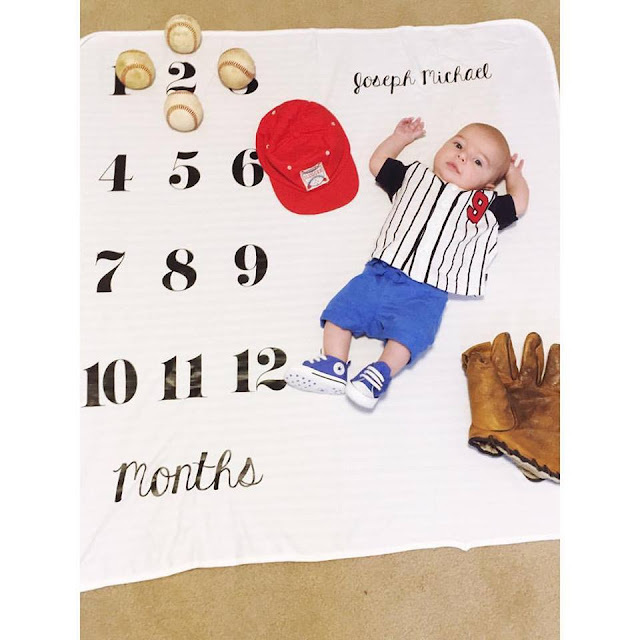 Here is a little update of Joey at one and two months! Diaper Size: moved up to size 1! Joey is constantly moving his arms all over the place. When we swaddle him, it has to be from the chest down. 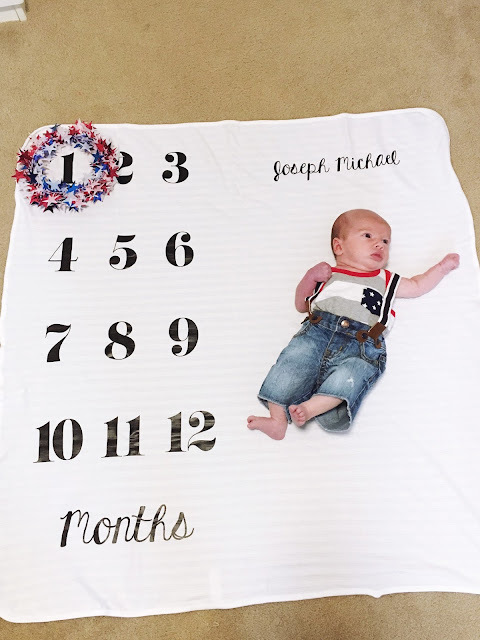 He is starting to get more rolls on his arms and legs. He lost all the hair on top of his head, yet still has it on the back and crown of his head. We call him grandpa because he has the hair-do of an old man! Diaper Size: finishing box of size 1's next box is 2's!